A couple of months ago I was able to add both of these Log Books and associated ephemera to the Chalk collection. Neither pilot saw operational flying but they still deserve a home with us. The Sgt. 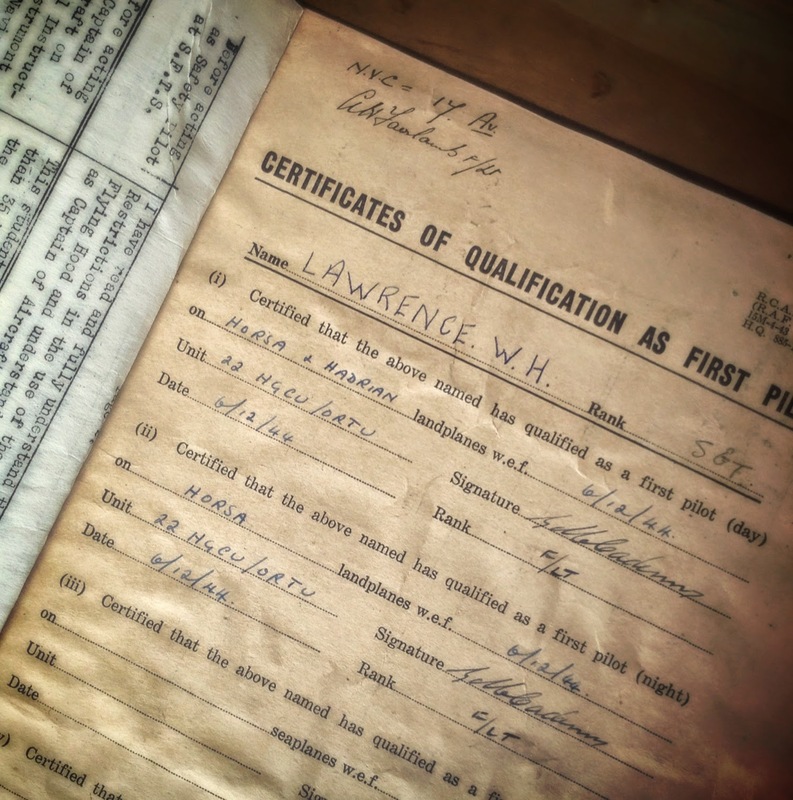 W H Lawrence grouping includes his RAF Log Book (covered in some kind of calico or canvas), several photographs, his Service and Release book and both his War Medal and Defence Medal. 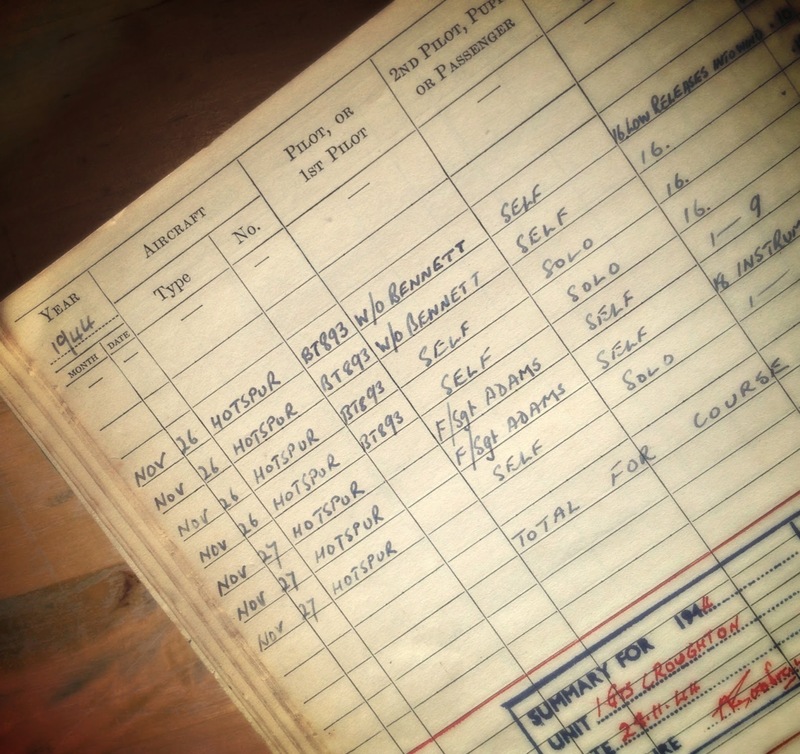 The Log Book is full of training flights on Hotspur, Horsa and Hadrian gliders as you would expect along with several loose notes and sketches. The Sgt. 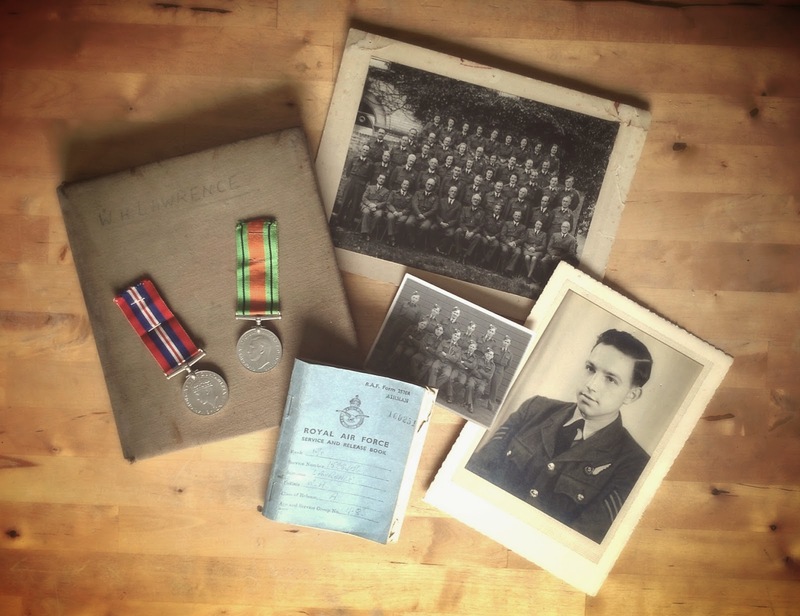 A J Goodram group consists of an RCAF Log Book which includes many pieces of ephemera along with his post-war UK Civilian Pilots Licence and documentation. All interesting stuff and a welcome addition to a slowly growing collection. Sgt. W H Lawrence Grouping. Sgt. W H Lawrence Log Book pages. Sgt. 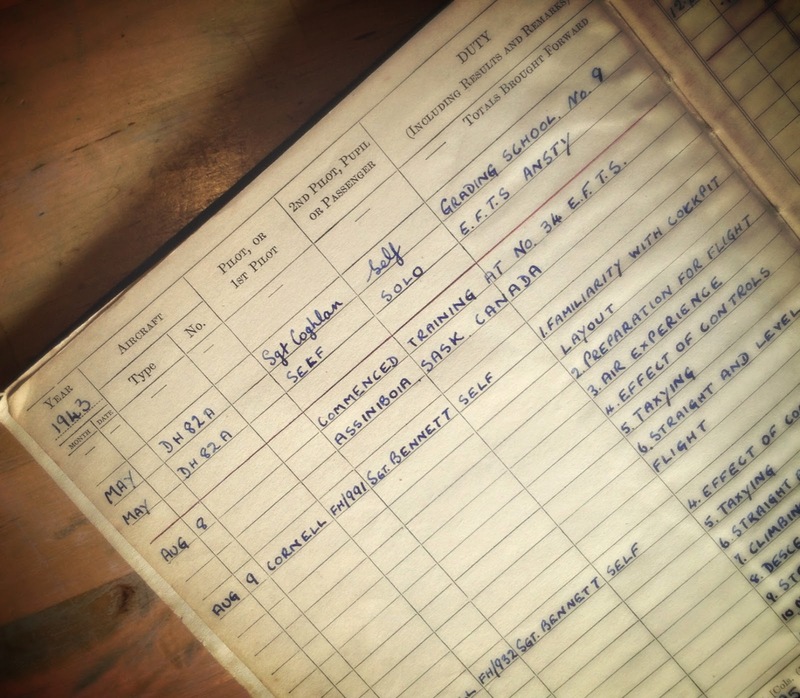 W H Lawrence Log Book page (note New York address to top left corner). Sgt. A J Goodram grouping. Sgt. 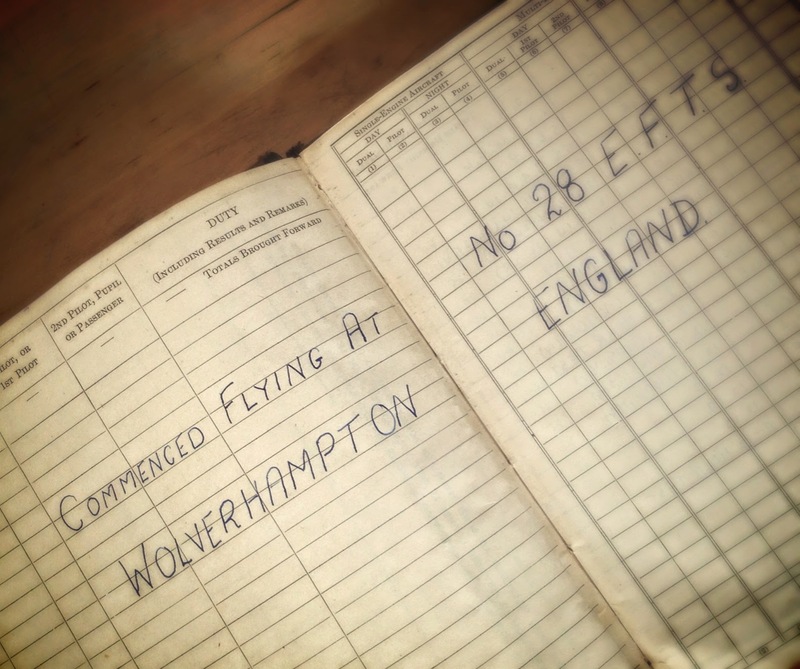 A J Goodram Log Book page showing Hotspur flights. Sgt. 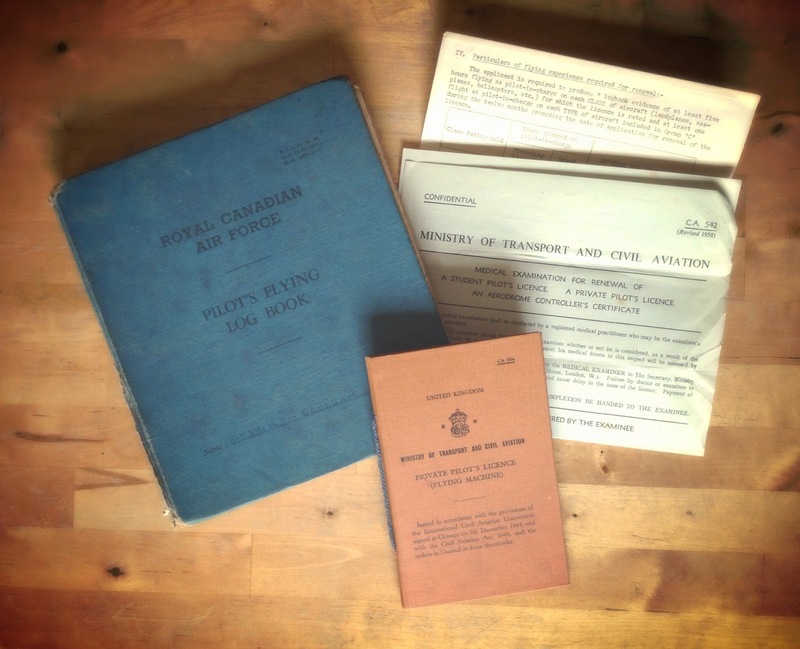 A J Goodram Log Book page showing Canadian based flight training.